Divya Agarwal’s romance with her co-contestant Priyank Sharma has been flooding the media with some or the other updates. 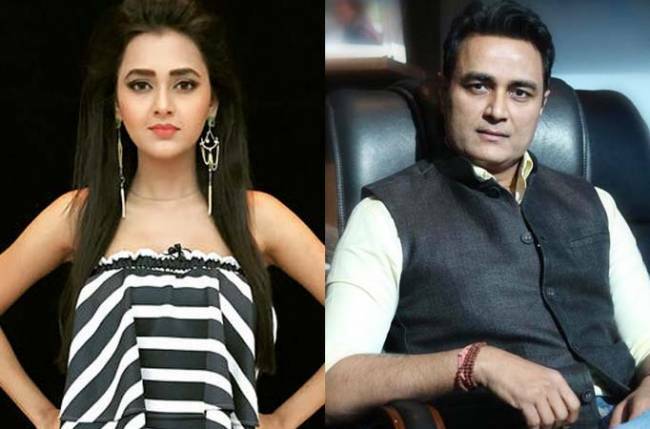 Whether it is the rumours about their breakup or allegations about their relationship being a sham, Divyank has been in the news for quite a sometime. The journey of the couple started in a TV reality show Splitsvilla and now when Priyank is in Bigg Boss, the couple is again in the news. The duo was madly in love with each other but now when Sharma is in the glass walled house, cracks are developing between the love birds. In an exclusive conversation with , Divya exposed everything about her relationship status, Priyank Sharma and many more. Now I think what Akash said seems legit. In the whole show, Priyank hasn’t spoken about his current girlfriend Divya for once. However, in one of an episode on Voot, the Delhi lad mentioned about his ex girlfriend who hails from US. Divya shared, “Honestly, now I think what Akash said seems legit (Akash in an interview with TellyChakkar quoted “Divya had real feelings for him, but Priyank I doubt”). He did tell me about her once that they are still friends but I didn’t expect him to talk about her on the show. Priyank’s proximity with his fellow contestant Benfasha and Hina hasn’t gone down well the Mumbai girl. She further added, “For me it was always Priyank, but for him you can see in the show. “I feel like a fool supporting him each and every time. I even supported him when there were big allegations over Priyank and Vikas’s relationship. I was always trying to clear his stand. Trying to shut the rumors about her fake relationship with Priyank, Divya shared an emotional backstory that no one knew. With a lump in her throat she reminisced, “No one knows that when I was eliminated from the villa, at 2’0 clock in the midnight, we ran out of the villa, met in the bushes and cried. We literally hugged each other and cried. When we were in the villa, we used to stay on the opposite sides of a river. Every night we used to wave each other with a torch. On a parting note, Divya maintained that she would have a lot to clear once Priyank came out of the house.